We are experts at removing those stubborn hard to remove virus’s. 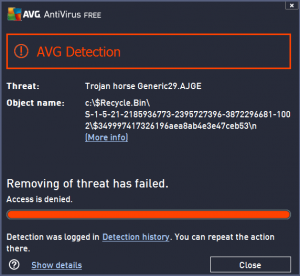 Jnology is a virus removal business serving clients in the Greenville, Simpsonville, Mauldin and surrounding areas. If not located in our normal service area, check out our online repair. We can remove viruses and tune up your computer while you watch. Some viruses are malicious — caused by hackers with psychological issues. Their sole intent is to wreak havoc on your CPU and hard drive so it stops functioning. Some virus’s even trap your data inside the hard drive. That sometimes can lead to data loss or a scenario where we have to perform a data recovery. Some viruses are spyware. They watch what you’re doing online and steal information for nefarious purposes. These types of viruses can result in your bank account balance disappearing or your identity being used by someone else. We stay on top of the latest viruses and constantly educate ourselves to recognize and deal with threats. We’ve had success in removing even the most invasive and complex viruses, and we’ve been able to repair damage caused by these viruses as well.